Your service request has been received (#38667). We will begin our investigation as soon as possible, and will post updates accordingly. Made work order to fill pothole. Thank you for reporting. Closing request. This service request has been resolved. System Testing by Tony B. Thank you for submitting this request, it has been received as service request #211707. This is an automated response. If this is an emergency, please call 9-1-1. Thank you for submitting service request (#211707). . This service request is now closed. Your service request has been received (#39195). We will begin our investigation as soon as possible, and will post updates accordingly. 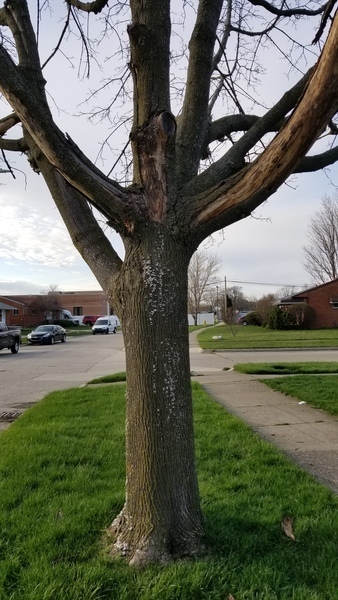 this tree has been dead for a few years now and is starting to deteriorate and fall apart. Your service request has been received (#39069). We will begin our investigation as soon as possible, and will post updates accordingly. Not reporting a water main break but wondering if the city repairs the lawn where they did fix a break. My neighbors, who are in their 90s, had their city strip dug up and I am wondering if you fill it and plant grass on it. 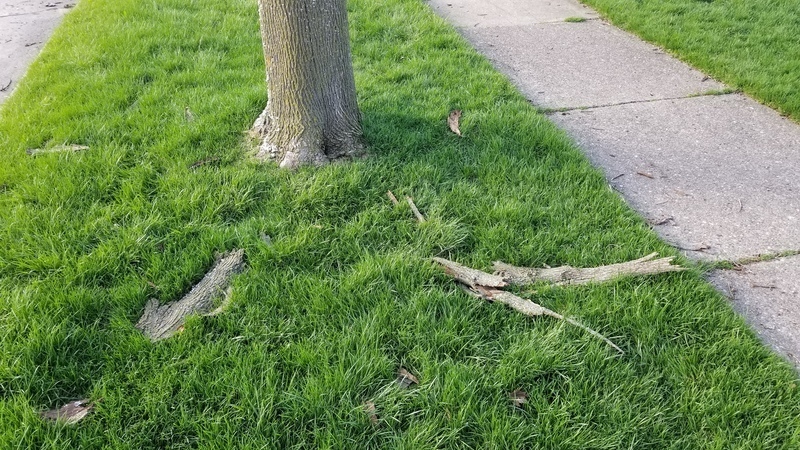 He has always taken good care of his lawn and if it doesn't get fixed by the city, I want to make sure I get his lawn back in order for him. Thank you. Your service request has been received (#38774). We will begin our investigation as soon as possible, and will post updates accordingly. While I appreciate being able to ask questions directly to the city, telling me that it has been resolved without knowing what the actual resolution is, makes this whole process useless. The lawn is still uneven and without grass or seed so obviously the resolution in nothing. Your service request has been received (#39034). We will begin our investigation as soon as possible, and will post updates accordingly. Not sure if you’re responsible for this I don’t think you are - but you should totally contact the owners to take care of this before someone’s vehicle is really damaged. Your service request has been received (#38885). We will begin our investigation as soon as possible, and will post updates accordingly. I reported this to Neighborhood Services (734.713.3733) to see if there's anything they can do about it. Thank you for reporting. Closing request. Your service request has been received (#38767). We will begin our investigation as soon as possible, and will post updates accordingly. No, it was not resolved. No one ever came to get the bag. Lid is cracked and almost off the bin. Replacement is needed. Your service request has been received (#39008). We will begin our investigation as soon as possible, and will post updates accordingly. Your service request has been received (#38953). We will begin our investigation as soon as possible, and will post updates accordingly. Will leaves be picked up December 7th?